Last month, Governor Bullock signed into law the Montana Health and Economic Livelihood (HELP) Act, which moves tens of thousands of Montanans a huge step closer to gaining access to affordable health care coverage. However, the state must meet certain benchmarks before newly eligible Montanans will be able to enroll in health care coverage. While the HELP Act expands Medicaid coverage to Montanans, it includes provisions outside of traditional Medicaid that cannot be implemented without federal approval. For this to happen, the state will prepare a section 1115 waiver proposal that will be submitted to the federal Center for Medicaid and Medicare Services (CMS) and which, if approved, will allow the state to receive federal funds to expand coverage. Section 1115 waivers allow states to pursue experimental, pilot, or demonstration projects that promote the objectives of Medicaid, namely to keep low-income families healthy. 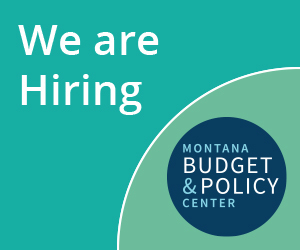 To learn more about the 1115 waiver process and what it means to Montana, read our fact sheet: What is Next for 70,000 Montanans: Next Steps on Medicaid Expansion.